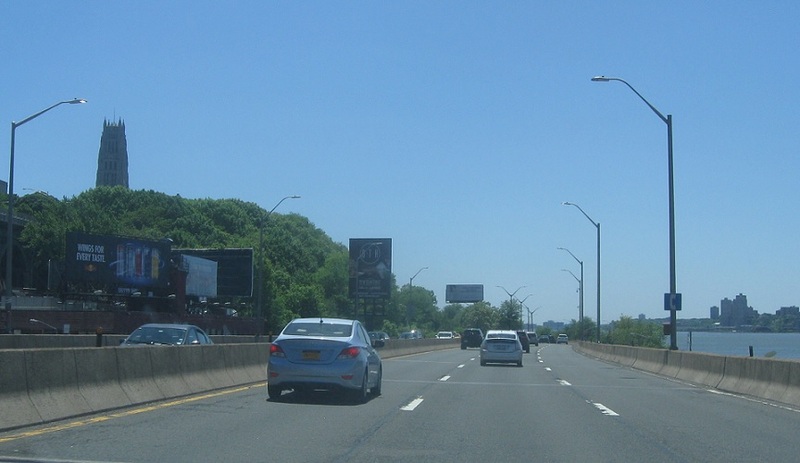 No reassurance shield after the I-95 traffic merges on. Reassurance shield after 158th St. The parkway as we pass along the west side of Harlem. 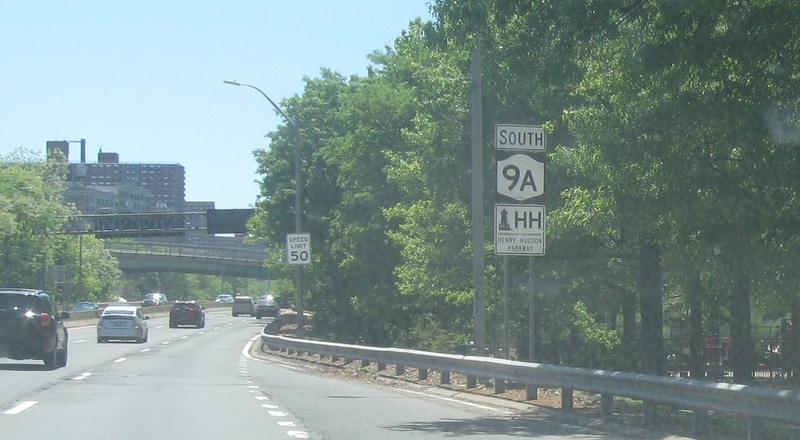 Reassurance shield after 72nd St as the Henry Hudson ends. 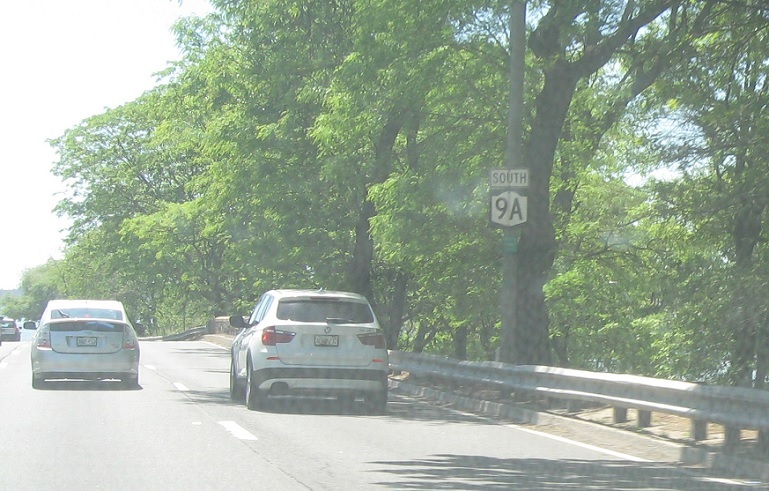 Route 9A continues down to Lower Manhattan.